The University of the Philippines (UP) announced it is delaying its scheduled college admissions exam on September 15 and 16 due to the threat of Typhoon Ompong. On Wednesday, September 12, the UP Office of Admissions said on its official Facebook page that a new date for the exams will be announced soon. Typhoon Ompong, whose international name is Mangkhut, is forecast to be the strongest storm to hit the country so far this year. It entered the Philippine area of responsibility early Wednesday and is expected to leave the country by the weekend. It has already made its wrath felt in various parts of Northern and Central Luzon, with several provinces suspending classes as early as Tuesday, September 11. The typhoon has a peak intensity of 220 kilometers per hour (kph) and maximum sustained winds and gusts of up to 270 kph, according to the latest advisory of Philippine Atmospheric, Geophysical and Astronomical Services Administration (PAGASA). The weather bureau classifies tropical cyclones with maximum sustained winds of 220 kph as supertyphoons. 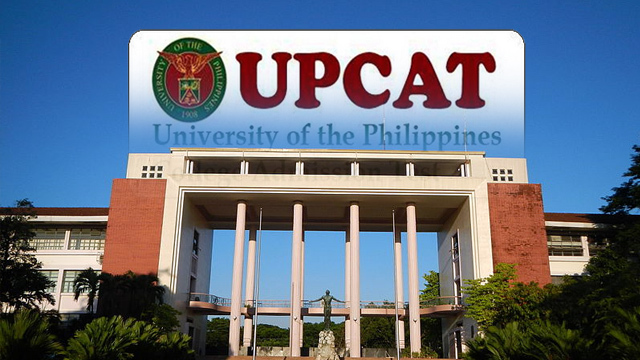 Over 160,000 high school students are expected to take the University of the Philippines College Application Test (UPCAT) this year according to a statement released by the institution in July. This is a significant jump from last year’s 103,000 applicants. The surge may be due to the passage of the Republic Act No. 10931 or the “Universal Access to Quality Tertiary Education Act” which mandates free tertiary education to qualified Filipino students in state universities.